Equally great on shelves as a shelf divider or as a drawer divider to keep an organized dresser! Organize your t-shirts to save space in your closet and keep it tidy! 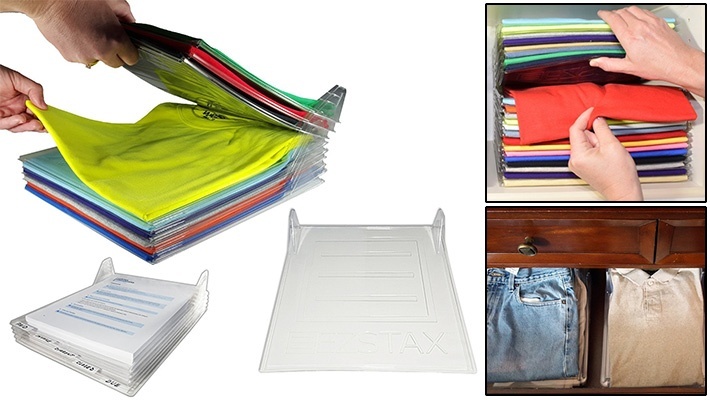 Get this EZ Stax T-Shirt Organizer for only $7.99 instead of $13.33.